$25.65 Ships within 24 hours. Amlodipine is the chemical name of the active ingredient in Norvasc®. Norvasc® is the registered trademark of Pfizer Inc.
Possible Uses of Norvasc: This medicine is a calcium channel blocker used to control high blood pressure or angina ( chest pain). High blood pressure reduction helps prevent strokes, heart attacks and kidney problems. Before using Norvasc: Some medicines or medical conditions may interact with this medicine. INFORM YOUR DOCTOR OR PHARMACIST of all prescription and over-the-counter medicine that you are taking. ADDITIONAL MONITORING OF YOUR DOSE OR CONDITION may be needed if you are also taking other medicines for high blood pressure ( e.g., beta-blockers, diuretics), or other medicines for chest pain ( e.g., nitroglycerin). Inform your doctor of any other medical conditions including heart disease, liver disease, allergies, pregnancy, or breast-feeding. USE OF THIS MEDICINE IS NOT RECOMMENDED if you have a history of low blood pressure. Contact your doctor or pharmacist if you have any questions or concerns about taking this medicine. How to take Norvasc: Use this medicine exactly as directed by your doctor. This medicine may be taken on an empty stomach or with food.CONTINUE TO TAKE THIS MEDICINE even if you feel well. Do not miss any doses. Most people with high blood pressure do not feel sick. Precautions When Using Norvasc: IF YOU HAVE BEEN USING THIS MEDICINE REGULARLY, do not stop using it without checking with your doctor. 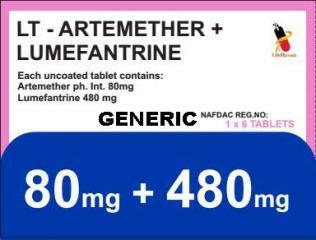 IF YOU ARE TAKING THIS MEDICINE FOR ANGINA, it will not relieve the pain of an acute attack if taken at the time of the acute attack. It prevents or reduces the number of angina attacks only if you take it on a regular schedule. THIS MEDICINE MAY CAUSE DIZZINESS. Do not drive, operate machinery, or do anything else that could be dangerous until you know how you react to this medicine. SIT UP OR STAND SLOWLY from a seated or lying position to allow your body time to adjust. WHEN YOU BEGIN USING THIS MEDICINE, it may cause a headache, which usually lasts for a short time. With continued use of the medicine, headache usually becomes less noticeable. LIMIT INTAKE OF ALCOHOL while taking this medicine. BEFORE YOU BEGIN TAKING ANY NEW MEDICINE, either prescription or over-the-counter, check with your doctor. This includes cough and cold products or diet aids because they may contain ingredients that could increase your heart rate or blood pressure. Ask your pharmacist about the safe use of these products. WHILE YOU ARE USING THIS MEDICINE, brush and floss your teeth carefully to reduce swelling and tenderness of your gums. CAUTION IS ADVISED WHEN USING THIS MEDICINE IN THE ELDERLY because they may be more sensitive to the side effects of the drug. FOR WOMEN: IF YOU PLAN ON BECOMING PREGNANT, discuss with your doctor the benefits and risks of using this medicine during pregnancy. IT IS UNKNOWN IF THIS MEDICINE IS EXCRETED in breast milk. DO NOT BREAST-FEED while taking this medicine. Side Effects of Norvasc: SIDE EFFECTS, that may go away during treatment, include nausea, fatigue, weakness, stomach pain, drowsiness, muscle cramps, headache, or flushing. If they continue or are bothersome, check with your doctor. CONTACT YOUR DOCTOR IMMEDIATELY if you experience swelling of your feet or legs; tender, bleeding, or swollen gums; worsening chest pain ( attacks are more frequent, more severe, or last longer); yellowing of the eyes or skin; dark urine; a fast or irregular heartbeat; or difficulty breathing. AN ALLERGIC REACTION TO THIS MEDICINE IS UNLIKELY, but seek immediate medical attention if it occurs. Symptoms of an allergic reaction include rash, itching, swelling, severe dizziness, or trouble breathing. If you notice other effects not listed above, contact your doctor, nurse, or pharmacist. Drug Interactions of Norvasc: Drug interactions can result in unwanted side effects or prevent a medicine from doing its job.Inform your doctor about all the medicines you take with and without a prescription. Storage of Norvasc: Store at room temperature away from sunlight and moisture. Keep this and all medications out of the reach of children. Other Information of Norvasc: If you are taking this medicine for gastric ulcers or reflux disease, your symptoms should improve within 4 to 8 weeks. If your symptoms do not improve or if they become worse, contact your doctor. DO NOT SHARE THIS MEDICINE with others for whom it was not prescribed. DO NOT USE THIS MEDICINE for other health conditions. KEEP THIS MEDICINE out of the reach of children. IF USING THIS MEDICINE FOR AN EXTENDED PERIOD OF TIME, obtain refills before your supply runs out.